This week is our 11th chronicling the battle of the Somme and we move onto the next set of attacks during the last 8 days of July which would be launched by the 4th Army with the assistance of the Reserve Army under General Gough. This would also be the first attack that would involve the Australians and would be the first major effort by the French since July 1st. We will then close out this episode by putting a nice bow on July by doing a bit of a review of what was a very costly month for all involved. This is the 8th and final episode on July 1916 and I feel pretty comfortable saying that it may be the best covered month of the entire war. The next attack would eventually go forward on July 23rd Rawlinson initially did not want to wait that long and instead hoped to make it a continuation of the attack on July 14th by launching it on the 15th. With the disorganization caused by that mid-month attack though these plans proved to be impossible and he therefore decided to postpone the attack a week to July 22nd. During this delay there would initially be those same sort of small piecemeal attacks that we talked about during the first two weeks of July, however at some point in the process Rawlinson changed his mind and called these off. He wanted to make sure that his army was completely prepared for the coming attack and it was also becoming obvious that the Germans were no longer in any danger of losing ground to these small attacks because their positions were solidifying. This was accomplished by an infusion of German reinforcements that made anything less than a major attack even more pointless any usual since they had the reinforcements to rush to any small piece of the front that was threatened. Because of the hiatus in attacks the Somme front was quieter than it had been since June. This respite was a fantastic move by Rawlinson because the next set of German positions that were in line to be captured were nestled on the reverse slopes of some of the ridges and this meant that they were almost entirely concealed from direct observation. This meant that there were few easy wins to be had and it also made it more difficult to properly direct artillery fire. This gap could have been made up with aerial observation but that took longer even during the best of times, and these were not the best of times for flying because of a good amount of inclement weather that rolled through between the 14th and 23rd. One mistake I have made during these Somme episodes, and one that I just realized this week, is that I have not done justice to the the air battles over the Somme. It sort of got lost in the shuffle in all of my research notes. Because of this, I have decided to move the bulk of the coverage on the air war over the Somme to a later episode where I can really dig in and do it justice, however I thought right now would be a good time to give a quick overview of the British efforts so far. Much like over Verdun the British and Germans were having a battle in the air over the battlefield. Up until the end of July, and beyond, the British were ruling the air creating a crisis of confidence in the German infantry as all they saw in the sky were British fighters, bombers, and observation planes. On the 20th of July one German soldier would record that 'Our infantry up front had come gradually to the belief that they had been abandoned. We cried once more and in vain for some help against the aircraft." The British had achieved this air superiority through a concerted, purposeful, and continuous effort. During the planning phases for the attack 6 goals were set out for the British effort in the air. 1. Aerial reconnaissance 2. Aerial photography 3. Observation and directing artillery 4. Bombing 5. Contact patrols to support the infantry and 6. Air combat against the German Army Air Service. They were able to accomplish these objectives through a daily effort where every single day their planes went in the air and every single day they engaged with the Germans regardless of the situation. This constant pressure took its toll on the British airmen and airplanes, but this disregard for losses was able to put enough pressure on the Germans so that the British achieved air superiority, and maybe more importantly it kept the German fighters off of the other British aircraft. Along with constantly engaging the Germans they were also able to take over 19,000 photos and drop 292 tons of bombs. In The British Air Campaign During the Battle of the Somme April-November 1916: A Pyrrhic Victory by Thomas G. Bradbeer "During the 3 months of fighting, the Air Service had been increasingly active and efficient. Fighting was not confined to operations on the ground. Much went on in the air. Gradually and surely our Air Service established a moral and material superiority over the enemy though at the cost of many gallant young lives" While in general they had done very well, that could not overcome the problems around weather, at this point there was really no such thing as an all weather aircraft and because of this they would not be able to help with the effort on July 23rd as much as hoped. There was an effort to make sure that the artillery replicated its performance of the 14th when the attack went forward and this started on July 16th when Haig sent a message to all of the artillery commanders "it is of the first importance that in all cases infantry should be instructed to advance right under the field artillery barrage, which should nto uncover the first objective until the infantry are close to it (even within 50 or 60 yards)." The weather was one complication, but another was once again having to coordinate with the French. This was a serious problem and even though the French said they would be ready to attack on the 23rd on the 22nd they would let the British know that they would have to delay their part of the coming effort. It was clear that the French did not want to be rushed which could have caused the attack to go off half-cocked. The delay of the French effort meant that the British had to shift some of their plans and this caused confusion in both the 4th of Reserve armies as small delays and alterations were made right up to the last moment to compensate. When I say last moment, I mean maybe even past the last moment because there were several instances of these messages not getting up to the troops at the front in time. This created a situation where along the front the various attacks were spread out over the course of about 5 hours instead of all happening at the same time. This certainly did not help anybody's chance of success. One new feature of this attack was the so called Reserve Army under the command of General Gough. This army had been in the area behind the front since the start of the attacks on July 1st and if everything would have went well on that day they would have been sent forward to continue the attack. Because nothing had went as planned they were instead now going to be used in an attempt to get the offensive going again. 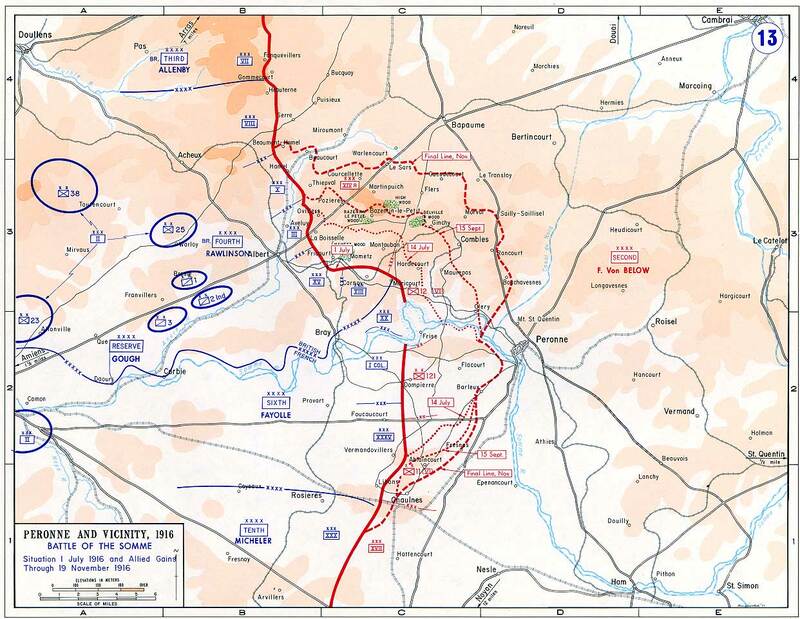 Their primary objectives would be the village of Pozieres, which had been an objective for seemingly every attack so far, but at least by this point it was right in front of the British lines. It was critical that it be captured because it was so critical to the German front that its loss could endanger the entirety of the German second line. It would also greatly assist in compromising the German positions along Thiepval Spur which had already been such a thorn in the side of the British troops. For the capture of this critical objective Gough decided to use some new arrivals on the scene, the 1st Australian Division. This division was made up of Gallipoli veterans who had spent the 6 months since the evacuation receiving and integrating reinforcements and then training up for their Western Front debut. The bombardment for the attacks began at precisely 7PM on July 22nd. For the 4th army the main goal was in front of the 30 division in the form of the village of Guillemont. The main task of capturing the village fell on the men of the 19th Manchesters and their advance began at 3:30AM. They were able to make some early progress, at least initially, here is Sergeant A. K. Patterson of the Rifle Brigade describing what happened "We had to take six German lines and it was all plain to be seen. There was a sunken road, then there was another line of trenches and then there was a pillbox which was the entrance to a line of deep dugouts and a machine-gun was blazing away from it, but the bombers took care of that, and on we went. Every time we got to the next objective there were fewer and fewer men." While the British were slowly losing men the Germans, and their newly arrived reinforcements, were able to launch a devastating counter attack late in the morning. This counterattack hit the Manchesters like a sledge hammer and pretty much completely destroyed the units manning the most forward positions. The German tide, combined with some fantastic artillery work from the German guns, managed to keep continuous pressure on the Manchesters until they had been pushed all the way back to their start lines. Unfortunately, even this result was better than most of the attacks by the 4th army. To the north of the 4th Army the Reserve army also joined in the attack, with the Australians spearheading the drive into Pozieres while other units attacked the rest of the ridge. The Australians crawled out into NO Man's Land starting at about midnight and they would have a similar setup to what had been used on July 14th with marking tapes telling them where to go and how far away the German lines were. They would then wait a few hours for the attack to start. When the time for the attack did come it probably would have been difficult to hear the whistles that the officers used to signal the attack, but the men did a fine job of just following the lead of the officers as they jumped up and started running for their objectives. The Australians did a fine job, capturing the outer trenches in the first rush and then managing to slowly push their way through the village. Unfortunately the attacks on either side of the Australians were less than successful which meant that the Australians rapidly found themselves in a salient out into the German lines. They frantically began consolidating their positions as the German artillery began to focus in on them. All the Australians could do was try and weather the steel storm dropping on them in ever increasing intensity. Interestingly enough at this point the Germans did not instantly counterattack when had been their habit so far and instead they just kept hitting the village with artillery while massing troops behind the front. It would not be until the morning of the 25th, almost two days since the start of the attack that the counter attack would finally be launched. What was left of the 1st division held their ground for the most part, losing a few positions here and there, until they were finally relieved by the second Australian Division. The 1st division had managed to retain the most important part, the village, but they had only been able to do this at a cost of 5,000 casualties. The 2nd division had a difficult time to look forward to as well and they were until constant fire until the 29th when they launched their own attack. This was another of those small attacks that was not properly supported by the rest of the front and this resulted in an attack that made very few gains that actually mattered, and even those that did were quickly lost to local German counterattacks. The official Australian History of the battle would say that “Although most Australian soldiers were optimists, and many were opposed on principle to voicing—or even harboring—grievances, it is not surprising if the effect on some intelligent men was a bitter conviction that they were being uselessly sacrificed,” This would be a constant refrain from the Australians and their historians on the Western Front, and really all of the Commonwealth forces, so look forward to a lot of discussion about whether or not the non British units were used incorrectly in their attacks. For what it is worth the Germans had a very high opinion of the Australians and would describe them as 'sturdy lads, with gold in all their pockets, unsophisticated sons of grazers and heirs to the land…What their fathers had brought to the wild colony lay in their bearing and eyes, and they were not to be taken lightly." I believe the gold in their pockets line is in reference to the fact that that the Australians were paid significantly better than other British troops. On the French side their attack would be launched late, it it would only be launched on their section of the front to the north of the river. It would be what I will call unremarkable and did not really accomplish anything. However, during July there were some interesting developments for the French. One benefit of some of the French successes was the documents that they had been able to capture that detailed the difficulties that the Germans were having countering the ever evolving allied attacks. 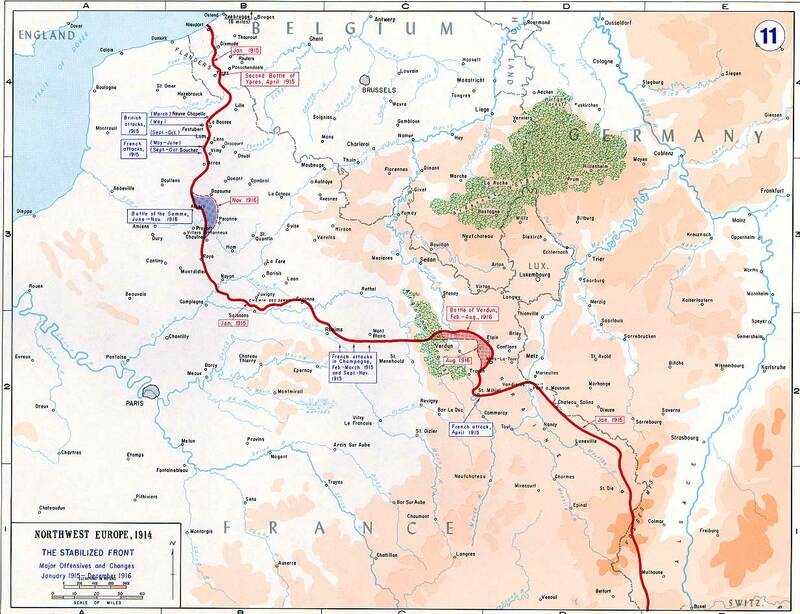 Here is a quote from one of the reports on this information “In its most recent orders the German command constantly revisits the necessity in the defensive of occupying the first line with small numbers of troops and of placing units in echelon and in depth in order to reserve the means of making local counterattacks." One issue for the French was the constant friction between their goals for the offensive on the Somme. When the plans for the attack changed in May and June the French made it clear that their goals in the attack was to support the British effort, and in July this was still their goal. However as the offensive developed it seemed clear that if they wanted to make any actual progress in their attacks they needed to attack south of the river, where most of their success of July 1st had been. To attack south of the river forfeited most of their benefit to the British. The answer to this would have been easily if they actually trusted the British to execute on their attacks in any way but by late July both Foch and Joffre had lost most of their trust in the British. This type of push and pull of what the French wanted to do and what was best for them or for the battle and the British would be a constantly shifting equation. Overall July had been a hard month for everyone involved with the fighting. 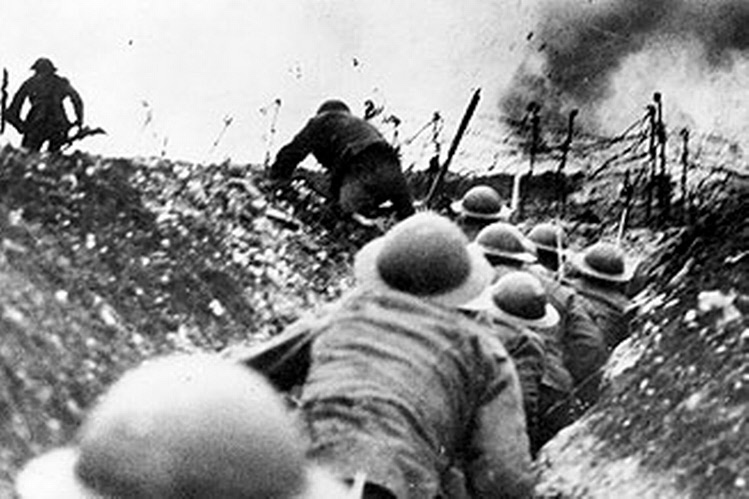 The Germans had lost 160,000 men while the British and French lost a combined 200,000. For all of these casualties the line had moved a maximum of 3 miles from where it had stood at the beginning and on both sides there really was not the tools to launch another comparable effort in the near term future. On the British side they no longer had the numbers of unworn guns and mountains of ammunition that they had used for July 1st and the Germans were continuing to improve their tactics but even this only partially made up for the fact that there positions were a far cry from what they had been. Along most of the line the Germans no longer had the nice and comfy shelters that they had enjoyed for the first half of 1916 and this required them to adjust how they were defending. They made these adjustments, and it would pay dividends, it was the British that had trouble trying to learn the right lessons from the fighting so far, as Peter Hart explains "The atmosphere of optimism engendered by the dramatic successes of 14 July was to prove the cruellest false dawn of the whole Somme campaign. During the next few weeks it seemed as if every lesson that might have been learnt from that success – the devastating use of massed artillery in support of an attack on a reasonably wide front using imaginative infantry tactics – had been deliberately and perversely cast to the winds and replaced with the tactics of a lunatic asylum. If this was a learning curve then it was a sad travesty of geometry." As always I think Hart is being a bit too hard on the British, and maybe just going for a bit of dramatic flair with his words, but the general meaning is correct. The British still had not quite sorted out how to attack on the battlefield in 1916, they had it for the attack on the 14th, but that was due to a specific set of circumstances that by the end of the month were already gone. By the last day of July there had already been three distinct phases of the fighting. There was the July 1st attacks and the days immediately following where the Germans were very much off balance and horribly overmanned. This then led into the period of confusion leading up to the large attack on July the 14th when the Germans still had not recovered and were a bit frantic in their attempts to hold back the British attacks. However, after the attack on the 14th the whole situation changed yet again because the Germans brought in reinforcements. This allowed them to solidify their positions and it also meant that they were no longer confused or strung out and now they could mount effective defenses and large counter attacks. The British seem to have had difficulty adjusting to these various scenarios. For example they had not figured out how to deal with the fact that the Germans were no longer heavily manning the first set of trenches and were instead spreading out their defense with machine guns and defensive positions placed in shell holes created by earlier attacks. This meant that the British had to bombard a much more widespread and diverse area. This was just one problem that they had to resolve if they wanted to reignite the attacks in August. On the long list of topics not generally discussed in histories that I am such a fan of highlighting, here is Staff Sergeant James Kain as he describes the herculean task of battlefield salvage during the closing days of July "There were 50,000 rifles lying out on the battlefield. The Pioneers used to go and fetch them in when the conditions permitted. They came to us in open trucks and we had to clear them quickly. We had two rifles every 3 seconds, day after day, and we were working flat out. One day I had 32 thousand rifles pass through my hands. If the rifles were all right, we just tossed them on to this waiting Foden and they went straight off down the line to the workshops where they were checked for bent barrels and any faults and then they were issued to the troops and straight back up the line." One thought that I am sure both sets of infantry could agree on was that July was over, and good riddance to it, little could they know that there would be 3 more months of fighting to come. I hope you will join me next episode as we celebrate Episode 100 with a listener question extravaganza.